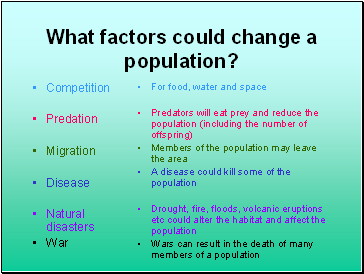 What factors could change a population? 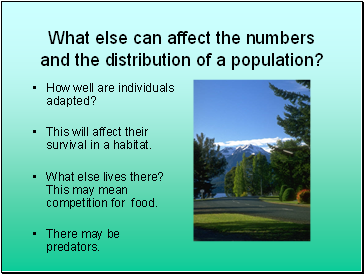 What else can affect the numbers and the distribution of a population? 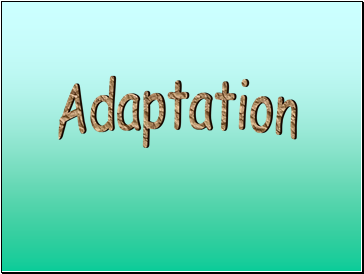 How well are individuals adapted? 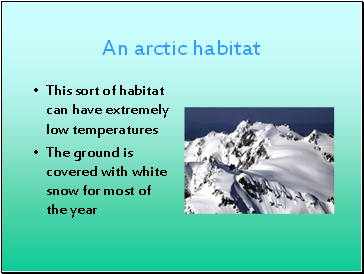 This will affect their survival in a habitat. 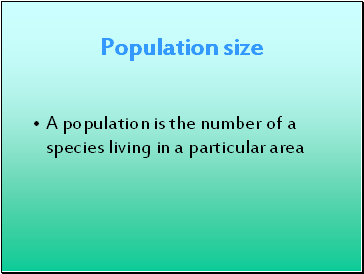 What else lives there? This may mean competition for food. 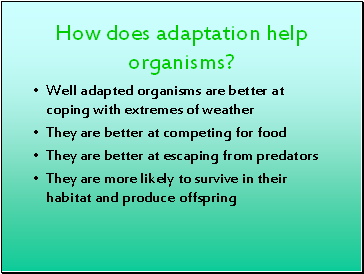 How does adaptation help organisms? 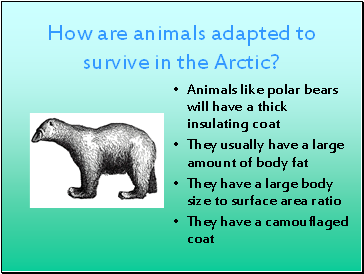 How are animals adapted to survive in the Arctic? 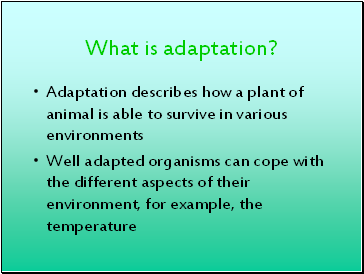 How do these adaptations help? 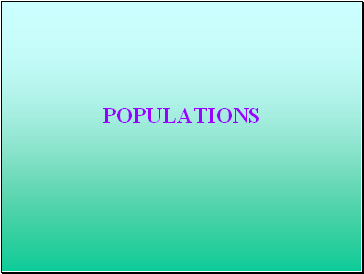 How is a camel adapted to survive in the desert? 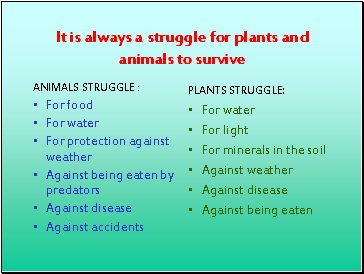 How do reptiles survive in the desert?